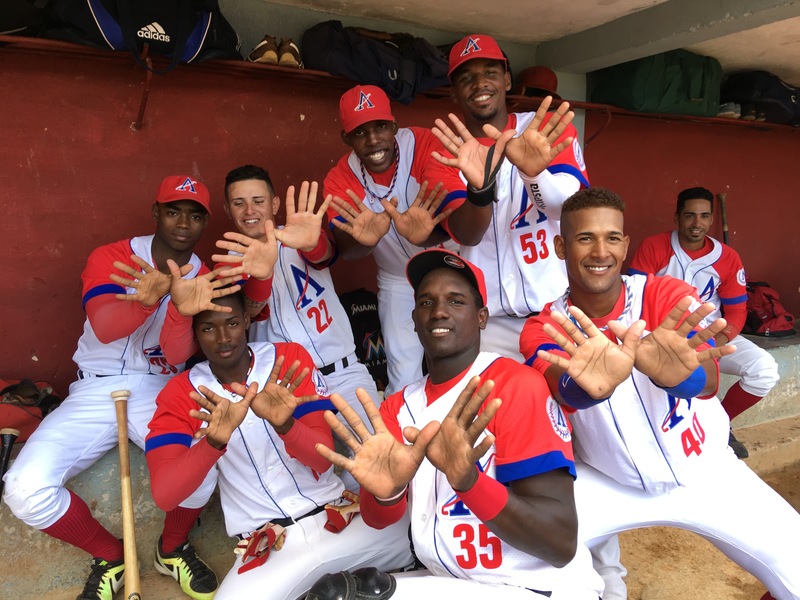 The Rice pitching duo of Dane Myers and Addison Moss combined to hold Cuban League team Artemisa to no runs on just four hits as the Owl baseball team opened its 2016 five-game tour of Cuba Friday with a 4-0 overseas victory. Myers was sound and solid scattering two singles and two walks with five strikeouts over 6.0 innings against the older and professional Cuban players. The junior from Katy, Texas, retired seven of the first eight batters he faced. When the first Artemisa batter reached on a free pass, the Cazadores’ (The Hunters) dangerous slugging first-baseman Juan Rodriguez, Myers picked him off first with a crafty move that seemed to spark Rice on the offensive side in the top of the very next inning. Dayne Wunderlich was hit by a pitch and tried to hustle to third on Myers’ one-out single into centerfield. Wunderlich was retired on a strong, veteran throw by Yuan Moreno, but Myers alertly dashed up to second on the play to keep a runner in scoring position. Sophomore Ford Proctor followed with an RBI single into left, and los Buhos (the Owls) were on the board 1-0. Rice was back on the offensive when senior Charlie Warren led off the fifth with a hit to left center and a steal of second base. He went to third on a Wunderlich single and scored on a wild pitch for a 2-0 lead. After the traditional Cuban sixth-inning stretch, the Owls added a little more insurance in the seventh. Proctor stroked a two-out double to left. With first base open, Artemisa elected to intentionally walk Dominic DiCaprio. Ryan Chandler singled-home Proctor, and a wild throw from the outfield allowed DiCaprio to come home and stretch the margin to 4-0. That was now proving to be more than enough room. True freshman Addison Moss started the game at first base and switched positions in the field with Myers after the sixth. The right-hander from Conroe, Texas, kept the shutout intact and earned a save with 3.0 innings of two-hit relief where he allowed two singles without any walks and a strikeout. 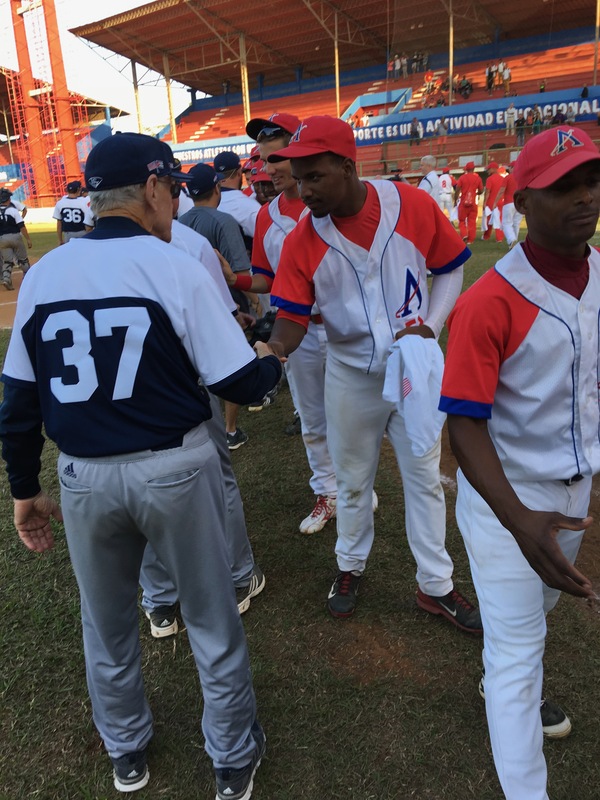 “The experience of coming here has already been so beneficial, the game today was just icing on the cake,” said Rice head coach Wayne Graham, making his return to Cuba since his minor league playing season at AAA Buffalo in 1960. “We’ve just been treated so well. I know the players will remember this trip and this particular game very fondly. Proctor and Wunderlich paced the Owls with three hits each, and Myers had two hits in addition to his win on the mound. Read the full box score. 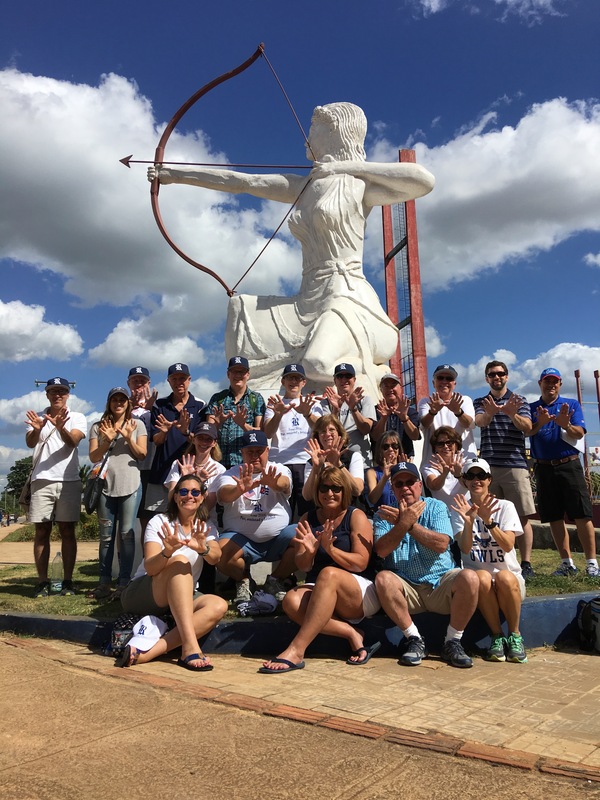 Rice is next scheduled to play Cuba’s Mayabeque Huracanes on Sunday (Nov. 27). Start time at Estadio Nelson Fernandez is set for 1 p.m. (Eastern Time) in San Jose de las Lajas, Cuba. Mouse over the picture below to open the Flickr gallery arrow buttons and view more images from the day. If the photo gallery doesn’t appear or open, click here. The city of Artemisa is about 40 miles southwest of Havana and has a population of 120,000 people; the province’s total population is about 500,000. Established in 1818, it is the capital of the Artemisa Province. Their stadium, Estadio 26 de Julio, means “July 26 Stadium.” It opened in December 1978 and can hold 6,000 fans. 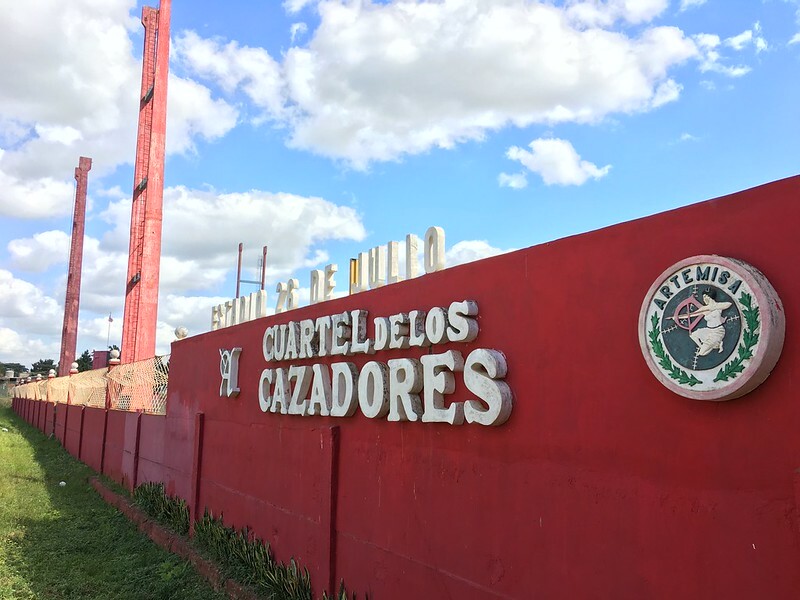 The stadium is named for Cuba’s postrevolution “Independence Day,” marking the 1953 Moncada uprising, the first armed action of the Cuban Revolution that would ultimately triumph in 1959. Artemisa was an important source of fighters supporting Fidel Castro’s revolution during the Moncada uprising in 1953. The Martyrs’ Mausoleum in Artemisa is a National Monument of Cuba that pays tribute to the revolutionaries who lost their lives. Artemisa’s red, ferric soil is perfect for growing bananas, tobacco, sugar cane and fruits. The highway the Owls took between the Cuban National Highway and Artemisa was lined with sugar cane fields. The team and fans had dinner at Rum Rum. You would assume the restaurant is named after the popular Cuban liquor, but it actually takes its name from the area’s known practice of “having to have something to talk about,” or rumors. According to our trip guide Andres, Cubans like to rumor about things. The Owls will wake up and get back to work with a team practice. Afterward they’ll have class activities, including guided tours of the Museum of the Revolution and Museum of Fine Arts by Rice Professor Luis Duno-Gottberg. Speaking of Duno-Gottberg, he is quoted today in the Houston Chronicle story “Houston now two hours away from Havana’s ‘magical realism,'” which is about the bayou city’s first direct flight to Cuba in 50 years.